I’ll walk you through the process. 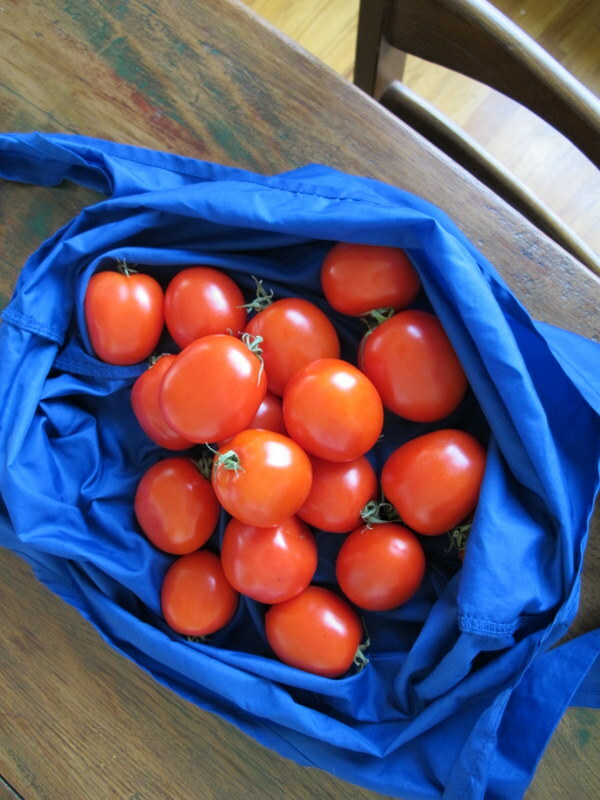 Buy some tomatoes, I got these at the Farmer’s Market but I’ve also done this recipe with (gasp) grocery store, out of season, non-organic cherry tomatoes and it was just as yummy. Wash them and take the tops off. Cut them in half. 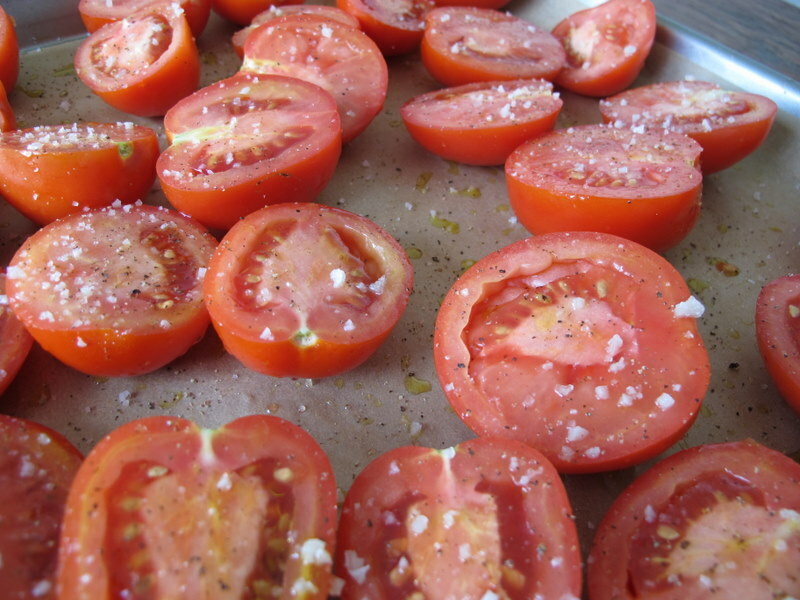 See how much salt I use, this gives the tomatoes lots of flavor. 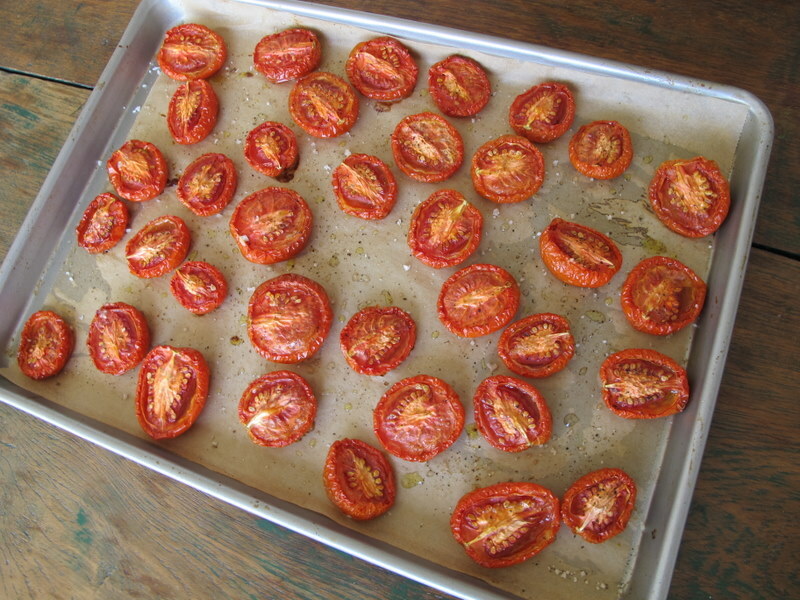 Now put them in a 250 degree oven for 2-5 hours depending on the size. These Roma halves took 3.5 hours. Roast them til they look like this picture. Shriveled but not burnt or crisp. Aren’t they pretty! 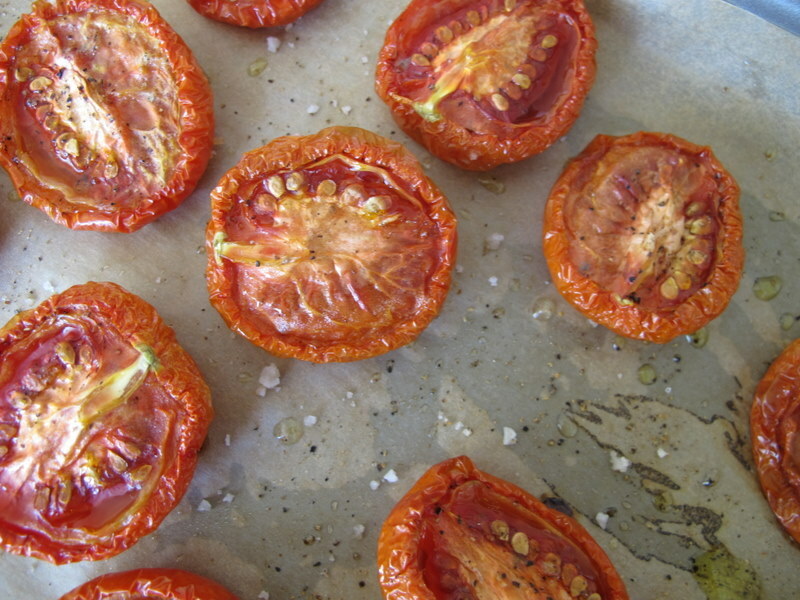 Let them cool and store them in your fridge in an airtight container drizzled with olive oil for up to a week. Toss them with pasta, puree them into soups or hummus, add them to sauteed lentils, each them on steak sandwiches or with fresh mozzarella. Eat them off the baking sheet for all I care, just make these. yum yum YUM. These really are the best. I love roasting yellow and gold together for spaghetti. 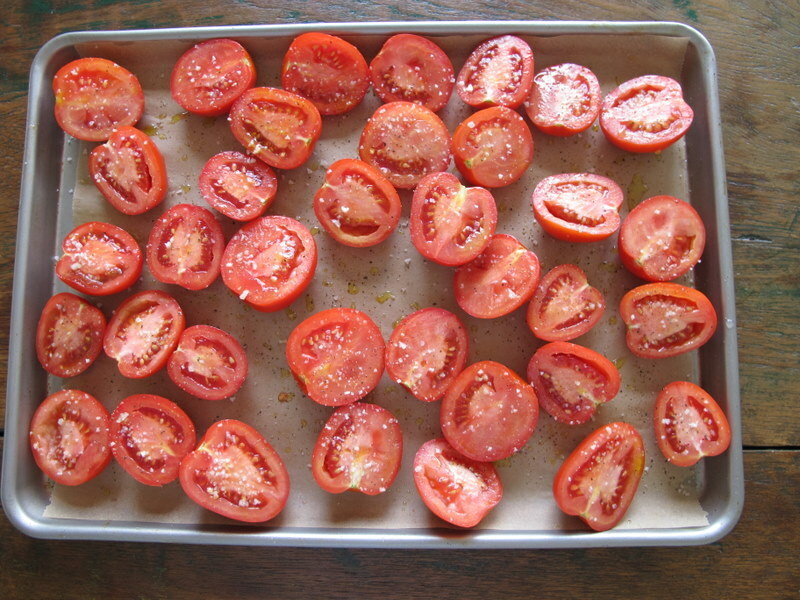 I just picked some tomatoes of my patio tomato plants and I am all set to put them in the oven now.